The National Center for Earth and Space Science Education (NCESSE), the Arthur C. Clarke Institute for Space Education, and NanoRacks are excited to announce that 11 student flight experiment teams have been selected for the sixth SSEP flight opportunity – Mission 4 to the International Space Station. 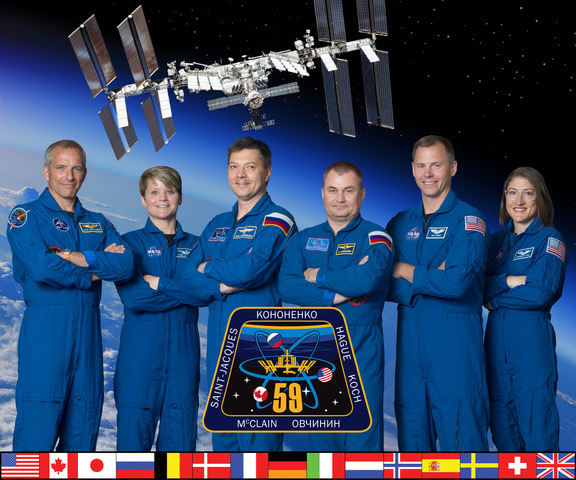 A total of 40 student microgravity researchers, reflecting grades 5-11, are the Principal Investigators, Co-Investigators, and Collaborators on the flight experiments. The Orion payload of SSEP Mission 4 experiments (named for the Apollo 16 Lunar Module) is scheduled to launch aboard SpaceX-3 from Cape Canaveral Air Force Station in Florida on November 11, 2013. We are now at T-minus 153 days from the launch of SSEP Orion. Links to descriptions of the Selected Flight Experiments and Honorable Mention Finalists, and their research teams; community profiles and local partners for each Mission 4 community; bios for members of the Step 2 Review Board for Mission 4; and the flight profile for Mission 4 are provided below. The Mission 4 to ISS flight opportunity was announced on November 15, 2012. By the start of program operations on February 25, 2013, 11 communities from 7 States were aboard, and 3,080 grade 5-12 students were formally engaged in experiment design. At the conclusion of the 9-week experiment design phase a total of 744 microgravity flight experiment proposals were received from student teams, and 353 were forwarded for review by Step 1 Review Boards in the communities. Three finalist proposals were selected by each community’s Step 1 Revew Board for forwarding to NCESSE. On May 21, 2013, the Mission 4 Step 2 Review Board met at the Smithsonian National Air and Space Museum, reviewed all 33 finalist proposals, and selected one proposal to fly for each community, for a total of 11 flight experiments. By June 5, 2013, NASA’s Toxicology Office at Johnson Space Center had received the list of fluids and solids to be flown, formally initiating Flight Safety Review, which is expected to take a minimum of 90 days. Congratulations to the over three thousand students participating in SSEP Mission 4 to the International Space Station. To one and all, speaking on behalf of your teachers, parents, and communities – we are very proud of you – and we hope SSEP inspires many of you go on to become America’s next generation of scientists and engineers. As is the case for each SSEP flight opportunity, Mission 4 to ISS is enabled through remarkable partnerships between school districts, corporate foundations, universities, community foundations, and companies, which are providing both underwriting and material and human resources. The level of partnership speaks to what teams of organizations at the local, state, and national levels can do together in STEM education. For 8 of the 11 communities, Mission 4 was made possible in part by grants from the Center for the Advancement of Science in Space (CASIS), and Subaru of America, Inc., both National Partners on the Student Spaceflight Experiments Program. For 4 of the 11 communities, Mission 4 was made possible in part by grants from 3 Space Grant Lead Institutions: Purdue University, Indiana; Cornell University, New York; and PennState, Pennsylvania. Here are the links to the communities, experiments, and remarkable teams of student researchers. But before exploring the links, you are invited to scroll through the list of partner organizations provided below for each community. To all representatives of these partner organizations, if you see that your organization’s formal name or web link needs to be modified, let us know via the contact page.